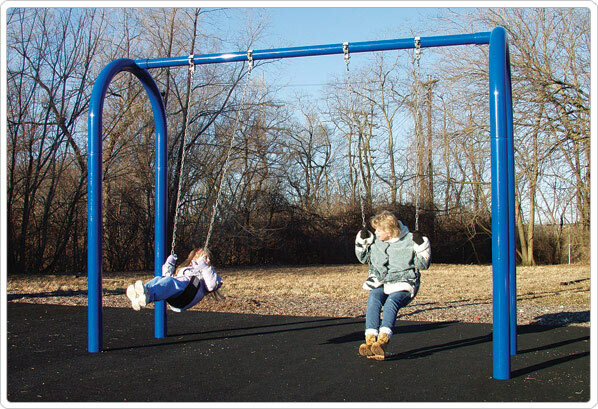 Swingset includes: S-02 belt seats, galvanized chains and 'S'-hooks. 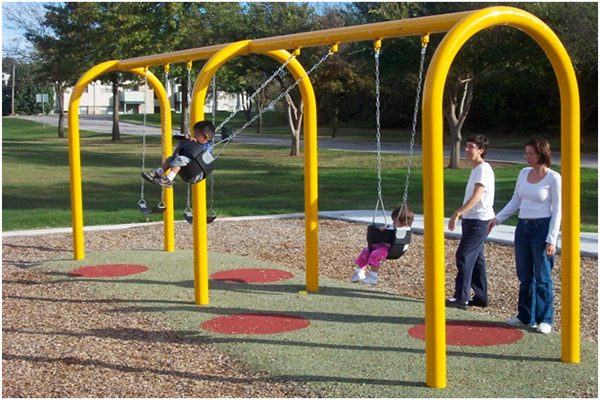 This swingset (PHOTO ABOVE ) is shown with two toddler seats and two belt seats. You can customize your swingset as you would like. 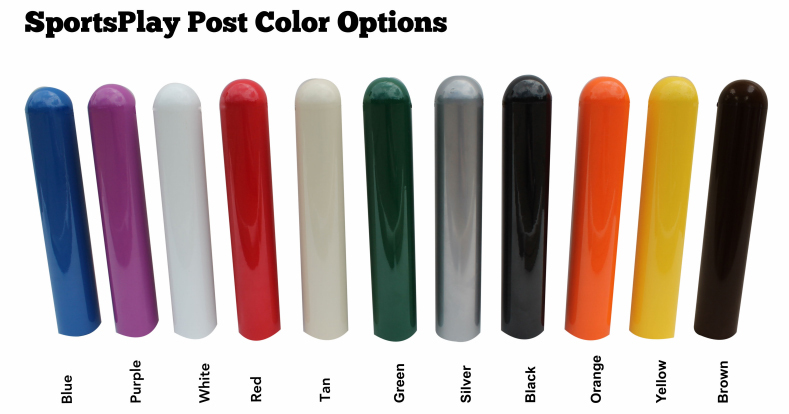 Refer to the swing accessories page for swingseat options. FOB Atlanta, Ga.
You choose colors of metal frame and swing seats!